Norm Arlt asked "How do I stop the How-To video from automatically starting in my browser when I click on an article?" I sympathize. We all deal with this annoyance. In fact, I'm willing to bet that everyone reading this article who hasn't already solved this problem knows exactly what I'm talking about. Most of these videos run on Shockwave Flash, so I'm going to concentrate on that technology. 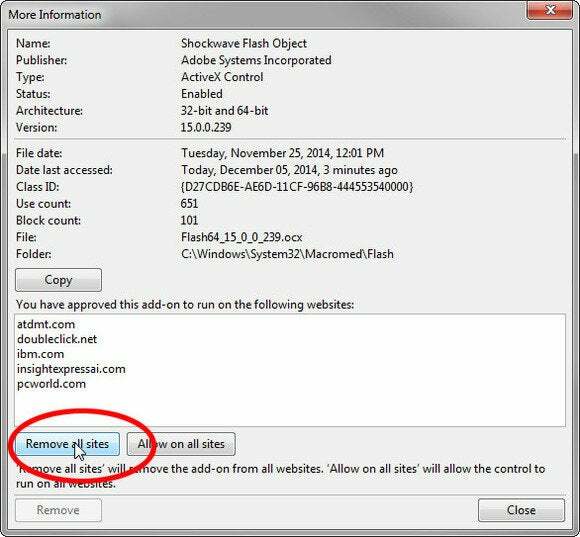 The trick isn't to block Flash entirely, but to make it work only with your permission. How you do this varies with each browser. So I'll offer instructions for the three most popular ones. Christopher Breen of Macworld offered these alternative fixes as well. An article focusing on Chrome and Edge users may also be helpful. Click the menu icon on the upper-right corner and select Settings. Then scroll down to the bottom of the page and click the Show advanced settings link. Scroll down further until you find the Privacy section. Click the Content settings button. In the resulting Content Settings dialog box, scroll down to the Plug-ins section. Select Click to play, then click the Done button in the lower-right corner. From then on, a Flash window will appear as a gray box with a jigsaw piece icon in the center. If you want to watch the video, click in that box. Press Ctrl-L to go to the address bar, and type in the local URL about:addons. Click Plugins in the left pane. Find Shockwave Flash in the list of plug-ins. Click the Always Activate pop-up menu on the right, and select Ask to Activate. When you visit a page with an embedded Flash video, the video window will again be a box, but this time it will be white with Adobe's Flash logo (a stylized letter 'f') in the center. A gray bar at the top of the page will give you options to continue blocking or allow the flash. If you click Allow, you'll get options to Allow Now or Allow and Remember. If you want to allow it at all, I recommend Allow Now. From the menus at the top of the window, select Tools>Manage add-ons. Find and double-click Shockwave Flash Object on the right (it's listed under Adobe and will likely be near or at the top). The Flash windows may not appear at all, or they may appear blank. A bar at the bottom of the window will offer options to allow Flash to play. Click the x on the right to say "No."